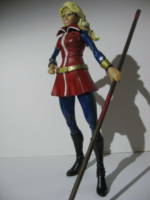 This is my custom Cathy Lee Crosby Wonder Woman!Cathy Lee Crosby is an iconic actress of the 1970's. She played Wonder Woman on television in 1974. 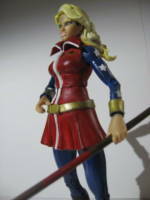 She was made using a DCUC Supergirl base figure and a Wonder Woman head. 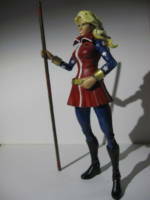 All the costume details were sculpted. The entire figure was hand painted. Please feel free to comment! Thank you for looking! The figures contained in the Custom Showcase are not for sale by Figure Realm, and the creators of the customs are no way affiliated with Figure Realm. The Custom Showcase is purely for entertainment purposes and only provides a means for the creators to show off their work and trade ideas. Figure Realm does not make or sell customs. If this custom violates the Custom Showcase Guidelines, please Report it. Please tell us why you are reporting this custom.